Apple Configurator 2 is used for managing corporate iOS devices and distributing apps within the company. Back up the data on your device before switching it to supervised mode. 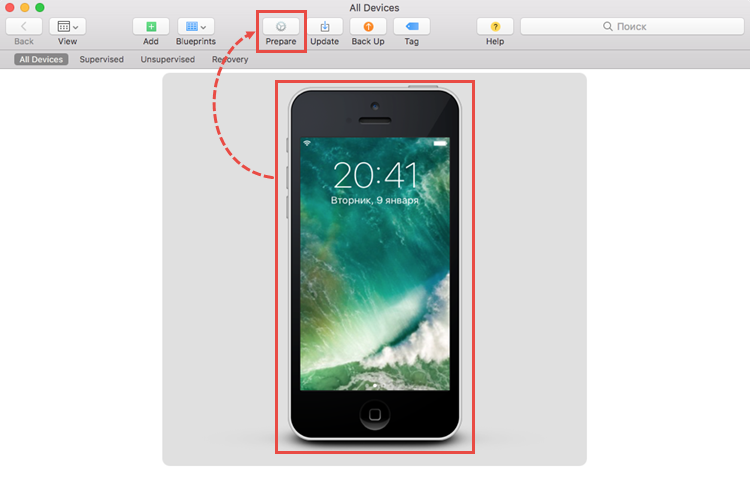 Connect the iOS device to a Mac. Download and run Apple Configurator 2. Select the device and click Prepare. In the Prepare with field, choose Manual Configuration and select the checkbox Supervise devices. In the Server field, select Do not enroll in MDM. 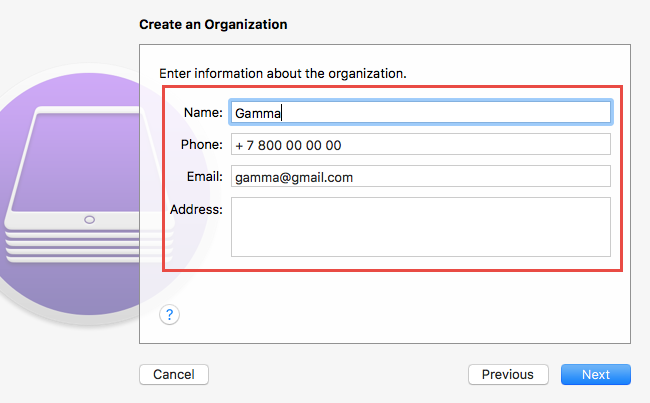 Enter information about your organization. 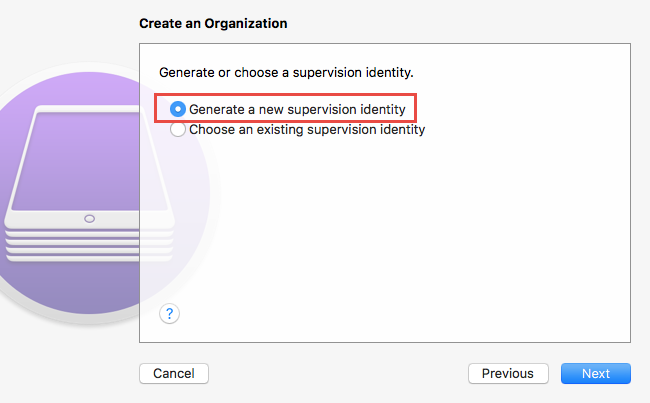 Select Generate a new supervision identity. 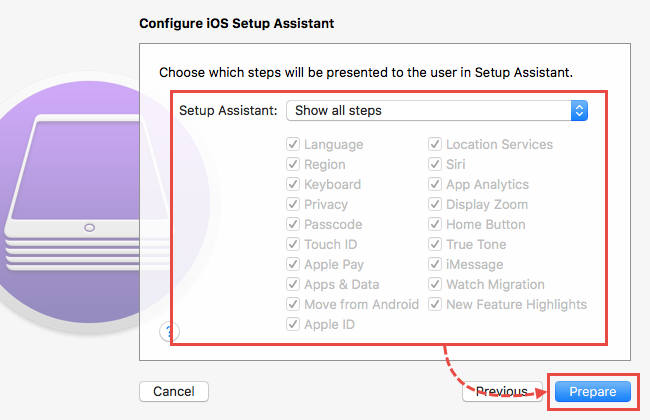 Select the steps that will be taken after resetting the device. Click Prepare. The device will be put into supervised mode and restarted. 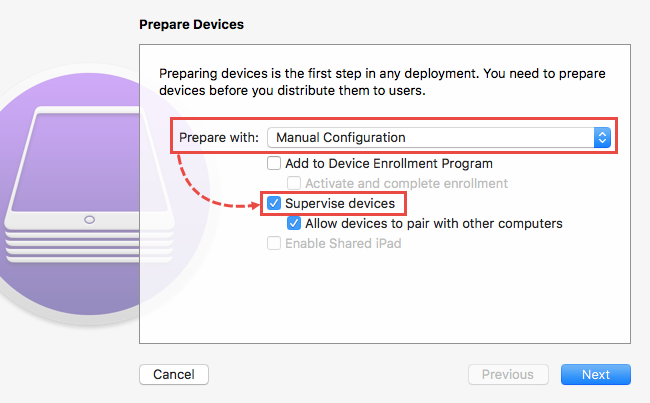 After installing an iOS MDM profile on a controlled device, the administrator will be able to access its settings in the Kaspersky Security Center 10 policy.